Mohamed Hilal Group Abu Dhabi hiring hospitality staff urgently. * Ideal candidates must have UAE/GCC casual & fine dining experience. * Individuals with Arabic and international cuisine background would highly considered. * Having excellent communication skills in English. However, Arabic would be an added advantage. 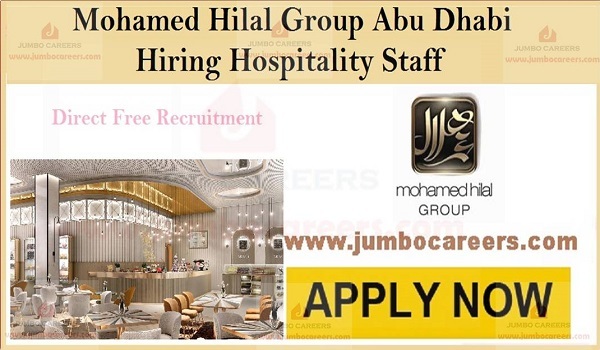 How to Apply For Mohamed Hilal Group Careers 2019?